Hope's Cafe: Bubble & Bee Organic Review and Giveaway!! While browsing the web a while ago I cam across Bubble and Bee Organic. Bubble and Bee is a great source for fun organic bath and body products! They have hair care, facial care, shower gel, bath salts, lotion, lip balm, and more! Bubble and Bee was founded by Stephanie Greenwood. After years of using non-organic bath products, Stephanie realized that all the artificial fragrances, parabens, etc. could be causing her health problems. So, she started out to fix the problem. After perfecting her recipes, she started making deodorant, shower gel, lip balms, etc. for her friends and family, and her business quickly grew bigger. After 1 1/2 years, Stephanie's long-time friend Steve Thomas got involved, and Bubble and Bee Organic was born! Bubble & Bee Organic is a certified organic processing facility, certified by the Utah State Department of Agriculture and Food. " 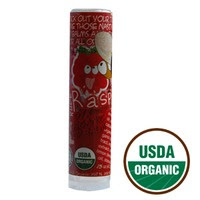 I was sent a couple products for review; the Rude Raspeberry Lotion Stick and Lip Balm. The lotion stick contains organic cocoa butter and organic beeswax, and the fragrance is organic too! It smells great, and works great, too! It is the perfect size to stick in my purse so i can moisturize my dry skin throughout the day. Very easy to apply, too. It's a lot neater to just rub a lotion stick over my elbows or hands, rather than squirting lotion out of a bottle! organic sunflower oil, organic cocoa butter, organic beeswax, organic raspberry extract, organic vanilla extract, organic lemon essential oil, stevia. It's very smooth, and really helps for soft, moisturized lips. It has a fun, fruity smell that lingers after using. I really like both products I received. They provide better results than using "junk" skin care, and they're good for you, too! Bubble and Bee is giving a $35.00 digital Gift Code to one of my readers! Go to Bubble & Bee Organic, and tell me which product you'd most like to try. Disclaimer: I was not monetarily compensated in any way for this review. I did receive product for the purpose of review. All thoughts and opinions are mine. All quotes taken from the Bubble & Bee Organic website. I became an email subscriber as I have heard wonderful things about Bubble Bee. Love Bubble and Bee! The next product I want to try is the anti-aging facial cream! This is the second comment for being a public follower via google friend connect. I became an email subscriber, Bubble and Bee is one of my favorate websites to buy products now. The special blend deoderants with baking soda are great. I just became an email subscriber..I would like to try the unscented soap bar from bubble and bee. I would love to try the organic lemon shampoo. I follow you on GFC (Jennifer Mo) #1. I follow you on GFC (Jennifer Mo) #2. I'd like to try their soaps. I've become a public follower. The description of this shampoo fits my needs to a tee! I entered your Novica.com giveaway! I'd love to try their organic lemon shampoo! Excellent brand! 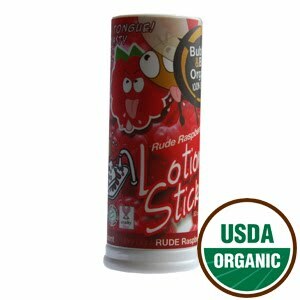 Clean and 100% organic:) lotion sticks have a perfect travel size! I love everything I have ever bought from Bubble and Bee. Next I am going to try Stephanie's shampoo. Bubble and Bee was one of the first companies I found when I started using natural body care products and I love everything I've tried but I especially love the sunflower lotion stick. I would like to try one of the new Design-A-Spray scents because I have not been able to find a decent natural replacement for room or body spray and their scents sound delicious! this is another comment about being an email subscriber :D Actually read the directions more closely this time! this is the second comment/entry that I am a follower on GFC. I entered the Tazzini Water Bottles giveaway. I just blogged about this giveaway on my typepad site! I just blogged about this giveaway on my typepad blog! I just blogged about the B&B giveaway, linking from my blog to yours! Tough decision! I believe I would most like to try either the Raspberry & Vanilla 100% Organic Body Butter or the 100% Organic Sunflower Lotion Bar. I'd really love to try the Pit Putty for DH and I!! I tweeted about this awesome Bubble & Bee giveaway! I have so far only tried the Pit Putty, lip balm and bug spray but I would love to try some lotion or face cream! They are on my Facebook and I keep meaning to order something! I would love to try the Pit Putty or the body butter. They both sound fabulous. P.s. I'm following you on Twitter(@Psyckoprincess) and subscribed to your newsletter too! I'm really interested in their soap, but the Raspberry and Vanilla body butter sounds fantastic! The Raspberry Lip Balm looks really good. I'd love to try it. Certified Organic Anti-Aging Face Cream (for Women) would be what I think I would try!!! I'd love to try the Raspberry & Vanilla 100% Organic Body Butter 8 oz. I entered the Opaleen Jewelry Giveaway. The Raspberry & Vanilla 100% Organic Body Butter sounds great! I like the fresh lavender shower gel. I'd love to try the Coconut/lime lotion stick! I'd like to try the Fresh Lavender Chemical-Free Body Wash! I want to try is the anti-aging facial cream! Id like to try the organic lemon shampoo. Their Certified Organic Anti-Aging Face Cream (For Men) caught my eye for my Dad! I would love to try the Oatmeal Spice Organic Soap . I would love to try the Squeezed Lime Organic Shower Gel. I entered the Tazzini Water Bottle giveaway. I'd like to try the Oatmeal Spice Organic Soap. I'd really like to try their Fresh Orange Organic Shower Gel. I want some red raspberry jam soap!! I'd like to try red raspberry jam soap. ooooo the Squeezed Lime Organic Shower Gel would be great for summer!!! Sisal Soap Bag would be GREAT to have for my bar soaps!!!! I would love to try the Raspberry & Vanilla 100% Organic Body Butter. One thing I'd love to try is the "Squeezed Lime Organic Shower Gel ". I wanna try the Vanilla Latte soap. I would love to try the Coconut & Lime 100% Organic Lotion Stick for my daughter who has psoriasis.